Describe the benefits of starting or growing a Marketing Cloud practice. Describe the key attributes of a Marketing Cloud practice. Identify growth paths for your Marketing Cloud practice. As an experienced Salesforce partner, you already capably deliver CRM solutions. You also likely know how Marketing Cloud helps your customers manage their digital communications and customer experiences, across marketing, sales, and service. If not, take a side trip and earn your Marketing Cloud Basics badge. There’s great excitement over the Internet of Things (IoT) and the ability to communicate over the Internet with any device that has an on-off switch. On one side are devices. On the other, humans. The space between is referred to as a digital divide. As a partner, you use Marketing Cloud to help your customers bridge that divide. 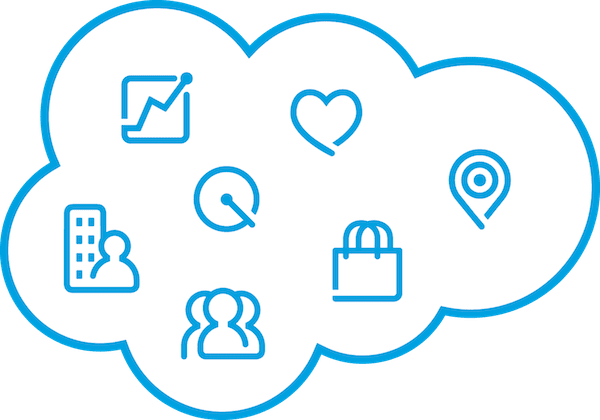 With Marketing Cloud, your customers engage more directly with their customers through one-on-one personalized interactions that drive trust and loyalty. For their customers, it’s the difference between getting a generic email offer or one from their favorite cafe rewarding them with a freebie. 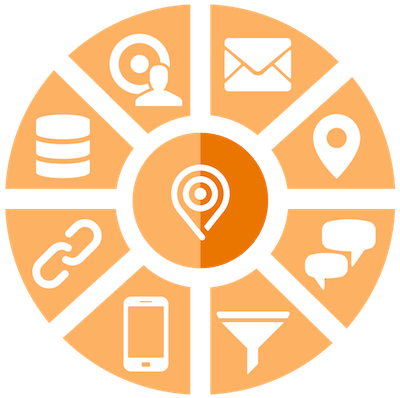 Having a dedicated team for your Marketing Cloud practice assures customers that you understand their marketing needs in the context of IoT and other business developments. It also shows them your deep commitment to provide superior marketing solutions. As you build your practice, you receive extra support from our Partner Development (PD) team. They offer webinars, fast-track workshops to certification, and in-person learning opportunities to help you ramp up along the way. With these benefits, it’s a no-brainer you want to transform your business with a Marketing Cloud practice. Whether you're just figuring out where to begin or are ready to expand your existing team, you’re in the right place. This module helps you put together a sought-after team that’s the right size and shape for your customers’ projects. A Marketing Cloud practice is a team. And teams are more focused when they follow a plan. To start on yours, let’s look at the key practice team attributes—brand, strategy, skills, and success. Carefully cultivate your brand to highlight your team’s vision and values. Tell potential customers, “This is what we excel at” and “Our customers come first,” so they know it’s worthwhile to hire your team. Describe what your team is good at today. Some teams are masterful at end-to-end solution implementations across all Salesforce clouds. Others are Marketing Cloud product virtuosos. Some work across many industries, and others find their niche in one. As your offerings expand, highlight them, too. Share your values. The term “value add” isn’t a laundry list of services offered. It represents a pledge to work with integrity. The number-one Salesforce value is trust. When customers trust you, they feel good about doing business with you. Salesforce earns the trust of its partners and customers through its commitment to transparency, security, privacy, and performance. Define your values to align with ours and make them intrinsic to how you conduct business. What does it mean to win? For Salesforce, it means that we take care of each other, have fun together, and work collaboratively to make the world a better place. Your strategy is the plan you follow to win. For example, if you’re targeting new industries, your strategy must identify your approach to win customers in other industries. If your focus is to build Marketing Cloud solutions for customers already using Commerce Cloud, your strategy must include cross-cloud integration. Revisit your strategy for every engagement. Like snowflakes, no two projects are alike. Review and update your strategy to be sure it’s always a perfect fit. When you eat at a restaurant, a maître d’ shows you to your table, a chef prepares your meal, and a waitperson brings it to you. These activities are examples of skills matching services. If your team already has the right skills, bravo! If not, heed the wisdom of the London Tube—“Mind the gap.” Bridge any gaps with training and certification. A highly trained team gives you a sizable competitive advantage. With every successful engagement, you enhance your can-do reputation. Don’t let your success go unnoticed. Document what went well and gather customer testimonials. Write customer-focused case studies that detail the problem, the solution, and the steps in between. As a partner, Salesforce makes it easy to let prospects know you’re their perfect match. The Salesforce Storyforce team captures and promotes our customers’ success internally to educate and enable our sales and other customer-facing teams. They also run the sales reference program, connecting prospects to current happy customers. Connect with the Storyforce team to share your success stories with prospects, customers, and Salesforce. You’re poised to grow your practice, and you spot a few interesting paths ahead. 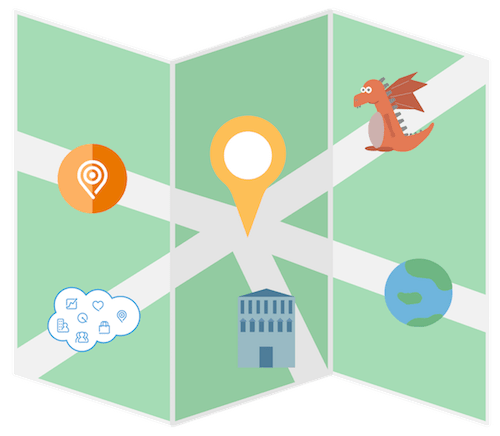 How can you tell which can lead you on a delightful journey to Marketing Cloud paradise and which are lined with dragons? To find your team’s utopia, let’s analyze three compelling directions: product (cross-product and cross-cloud), industry, and geography. Marketing Cloud is successful because it isn’t just one product—it’s a family of products that bring all aspects of data and marketing together. It takes a practice team with expertise across all the products to create harmonious solutions bursting with marketing goodness. Let’s explore a scenario with a brick-and-mortar retail chain, Northern Trail Outfitters (NTO). You implemented Social Studio to connect their sales, service, and marketing teams to their customers through social channels. With your help, they’ve been building meaningful customer relationships ever since. Next, NTO wants to send targeted offers to customers who are near an NTO retail location. Your team uses Mobile Studio to implement geo-fenced offers. NTO is thrilled with your cross-product solution. They increase revenue, give their employees raises, and are singing your praises. That solution uses just two products, but you can see where we’re headed. Customers love one-stop shopping. Dazzle them with your expertise across all Marketing Cloud products to ensure that your team is their one stop. It’s been said that space is the final frontier. But, when we look to the horizon, we see the unexplored land of end-to-end cross-cloud solutions. If your team has substantial experience implementing Marketing Cloud solutions, you’re well positioned to create new solutions or enhance existing ones using multiple Salesforce clouds. Salesforce strongly encourages partners to move in this direction. Let’s check back in on NTO. Rey, their sales manager, is excited about his raise and plans to replace his clunker of a car. He meets with Liz, an auto loan specialist at Jimnee Finance. You are ahead of the curve on this one. Experience delivering end-to-end cross-cloud solutions makes your team stand out among Salesforce partners. Customers can depend on you from one end of the Salesforce cloudiverse to the other. The benefits of a Marketing Cloud practice go beyond cross-product and even cross-cloud growth. You can also find untapped potential in other industries and regions. It’s common for Marketing Cloud partners to build a solid reputation in the retail industry and subsequently apply their experience to other industries. And if you’ve got a team of globetrotters, you can look farther afield to regions where demand exceeds supply. Follow the lead of many Asia Pacific partners who are successfully extending their business across subregions. You’ve seen that there are as many ways to shape your practice as there are clouds in the Salesforce sky. With so many choices, you might be on the fence about which direction to take. Sitting on the fence is a great way to get splinters. But, you don’t want splinters, you want customers. So, hop off that fence and pick a direction.